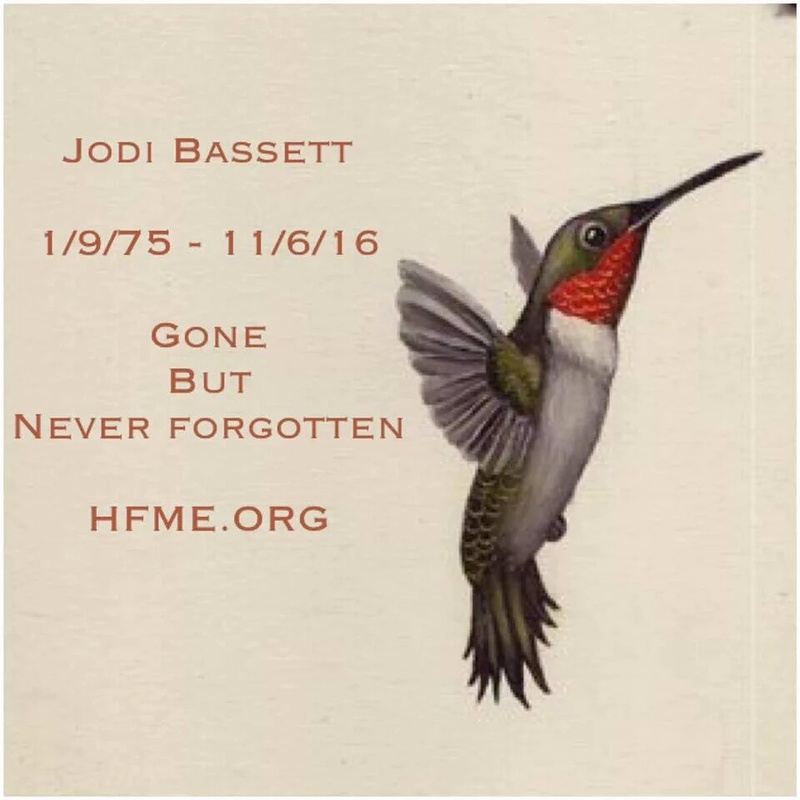 I wanted to do this post about the very sad death of Jodi Bassett who was a long term sufferer with Severe ME. Probably Very Severe ME. She died on 11th June 2016. She had suffered from Severe ME since she was 19. She created an amazing and comprehensive website called The Hummingbirds Foundation For ME. I think this was mainly done from her bed as she was so ill and disabled by her ME. I’ve only been able to read tiny bits of the site because of my own symptoms being bad a lot of the time. ” I’m 100% housebound and 99.5% bedbound. Yet like so many other ME sufferers I have had to fight so hard just to try to get even basic help and understanding from doctors, friends and family members ” . That sums it up really. The almost impossible position that people with ME are in. We have to fight so hard for anything. But the exertion makes us even more ill.
I’ve given personal examples of this throughout my blog. The news about Jodi’s death I read on twitter. Where I get most news. There were many tweets about it on Twitter. People were very saddened by the news. In the meantime I wanted to help raise awareness. And express my sadness for Jodi and so many others who have died.